Does your drug candidate suffer from poor solubility? Are heat treatments or acids denaturing your enzymes or proteins? Do you want to extend the shelf life of your flavouring? Do you have a liquid that requires solidification? Do you want to change the release profile of your compounds? Do you need to encapsulate dyes to create next generation products? If so, then consider ecapsulation using Glantreo’s proprietary formulations. The encapsulation process confers durability to the enclosed substance in the form of increased mechanical, photo, chemical and thermal resistance. This ensures that the substance can survive further processing steps, as well as necessary heat and UV treatments. It can even provide protection during digestive transit. As such, the applications for silica encapsulation are promising to address key issues in the pharmaceutical, environmental, health, agricultural and biotechnology sectors.To date silica has been used in the encapsulation of a diverse array of substances including drugs, microorganisms, nucleic acids, enzymes, natural oils, flavourings, colour pigments and contaminants. With the right materials science expertise driving the formulation of the silica capsule the possibilities for encapsulation are surely endless. Glantreo has been working with silica and developing innovative silica-based nanoparticles since the foundation of the company over10 years ago. When it comes to customisation of a silica-based product which can meet your encapsulation needs, the expertise that Glantreo can provide is based on established, finely-tuned material science techniques and a talent for versatility. 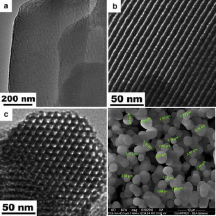 Our view is that silica encapsulation using our proprietary formulation techniques provides particular scope for investigatory and pilot line projects in the context of Horizon 2020, and we are keen to engage with like-minded partners in this regard. 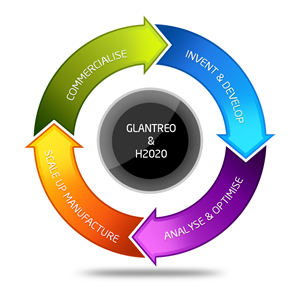 So whether you are seeking a silica-based solution to your encapsulation problem or considering the addition of an SME presence to your H2020 consortium, contact Glantreo today and discover how our material science experience can benefit you.